We at Kratom Journal continuously provide further education to all our viewers, ensuring them that they are properly guided when it comes to using the alternative medicinal herb called Kratom. A number of people switching to Kratom as their alternative medicine are growing, so numerous Kratom sources available on the internet are also increasing just to take advantage of the opportunity. Despite numerous Kratom sources, people are still struggling in search for a reliable source to place their trust in. It’s crucial for aspiring and frequent users to be well-knowledgeable about Kratom because any misleading information can certainly put their lives at risk and we never want that to happen to our viewers. Our team strives hard to review all Kratom-related blog articles and news before sharing it to our website. We make sure all necessary details are trustworthy. 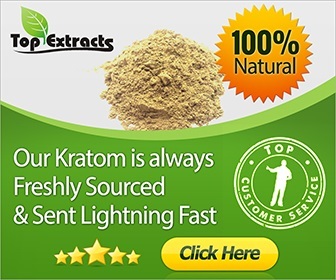 Aside from having enough reliable content, people also prefer to stick with a source without any biased content, especially on reviews about Kratom products and sellers. They don’t want to see all the positives sides because it’s more important for them to be aware of the downsides. Thus, we uphold fair reviews of products and services to help our viewers more when it comes to determining which products are worthy of their time and money. Our team maintains a user-friendly site to make sure that all our viewers find ease in navigating all pages of our website. You can check our site at kratomjournal.com to see more of our featured Kratom blog articles. We want to keep everything simple yet convenient, especially when it comes to all your concerns about Kratom. So, we’ve allotted a page for contacting us where you can answer the form that includes all your inquiries, and our team member will get in touch with you as soon as possible. If you prefer to send an email instead, don’t worry because we’ve got you covered. You can definitely send all your concerns to our email address which is contact@kratomjournal.com. To reach a member of the Kratom Journal editorial team, please use the contact form below. We usually respond the general enquiries within 24 hours.